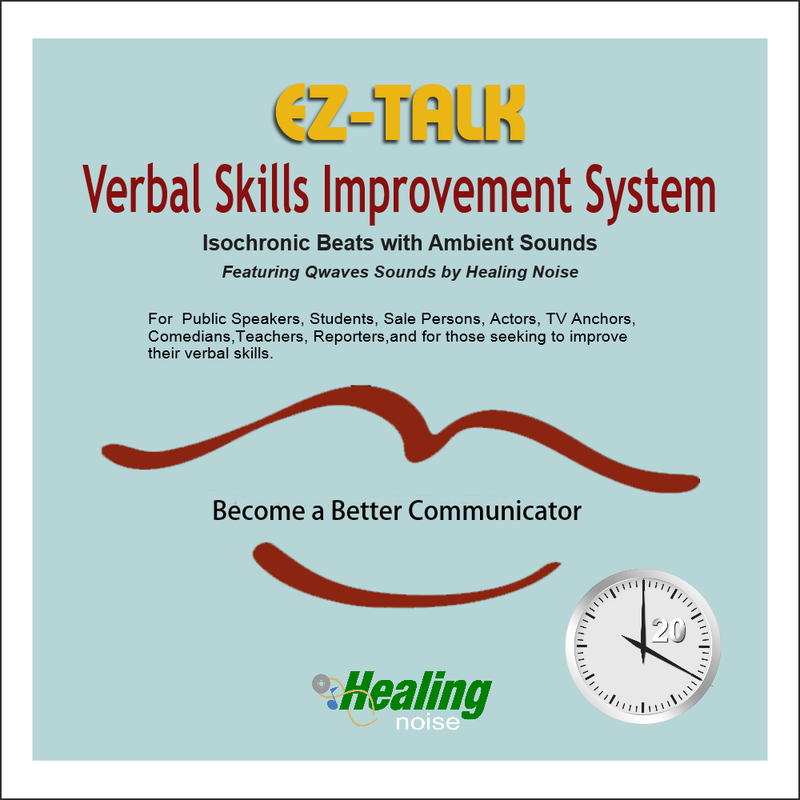 EZ-Talk is a digital soundtrack created to help people who may suffer from an inhibiting nervousness when performing a presentation in front of an audience. This brainwave program is based on the work of Dr. Harold L. Russell and Dr. John L. Carter, pioneers in the use of Light and Sound Stimulation (LSS) Technology. Preliminary studies have shown that brainwave technology can lead to significant improvements in verbal IQ scores, enhanced ability to pay attention, and reduced hyperactivity. EZ-Talk does not present voice narration or instructions, so your attention is focus in the rhythmic sound waves programmed for the stimulation of optimal Brain Wave Activity.